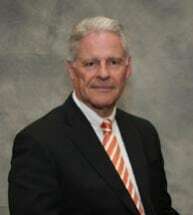 Mr. Planer began the private practice of law in Gaston County, N.C. in 1974. Although Mr. Planer has represented clients dealing with many difficult situations, his practice is focused in the areas of Family Law and Bankruptcy. Mr. Planer has more than 38 years of experience representing clients in both personal and business bankruptcy. He is a past member of the Panel of Chapter 7 Trustees. In addition to his experience in representing clients, Mr. Planer has participated in events such as CLE (Continuing Legal Education) and Civic Events that help educate other attorneys about Bankruptcy related issues. Living in Gastonia, N.C., Mr. Planer is active both civically and is a member of First Presbyterian Church of Gastonia where he is and has been a Deacon, Elder and Men’s Bible Class Teacher. Mr. Planer and his wife Judy have two sons; Jonathan A. Planer, MD of Belmont, N.C., and Christopher D. Planer, DDS of Asheville, N.C.